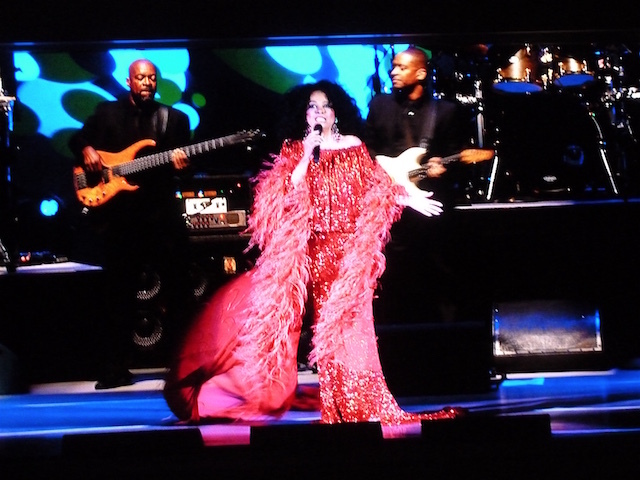 A week ago, Ed and I were fortunate to see Diana Ross in concert at the Hollywood Bowl. And, boy was she fantastic. To start, after being introduced by her daughter Tracee, she made a dramatic entrance on a swing from the top rear of the stage down to the front-center of the stage, singing "I'm Coming Out." During the evening, she sang many of her hits, including "Baby Love," "You Can't Hurry Love," and "Stop in the Name of Love." She dedicated "Good Morning Heartache" to Gordy Berry, her former love and Motown boss and, when she sang "Reach Out and Touch Somebody's Hand," the audience linked hands, swaying to the inspiring, soft sounds. Ross, the glamour queen, graced the stage with at least four incredible, flowing outfits--red, turquoise, gold, and black--that, along with her final song--"I Will Survive," helped us remember that her songs will last forever. 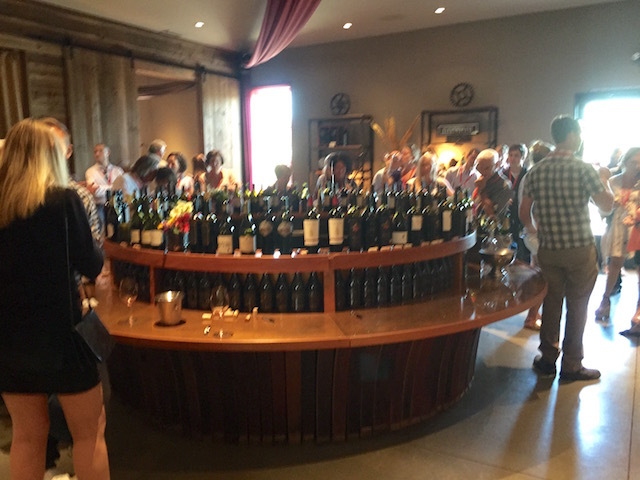 On June 30, Ed and I attended one of the best wine receptions of the year: The American Fine Wine Invitational Gold and Double-Gold Medal presentation. (The competition was held earlier this year in Florida.) At the reception, Ed and I were presented with our double-gold medal by American Fine Wine Competition Chief Judge Monty Preiser. (See photo of Ed and me holding the gold piece.) We mingled with some of the best wine folks in Napa Valley and schmoozed with other double-gold winners Ron and Sue-Marie Haber, of Haber Family Vineyards, and JoAnn Truchard of Truchard Vineyards. The event was held at the beautiful Eleven Eleven Winery, in Napa, where we snacked on some great chicken sliders and mac n cheese fritters, created by Marks The Spot Fine Food Catering; the hors d'oeuvres were paired with all the gold- and double-gold medal winning wines. So much wine, so little time.